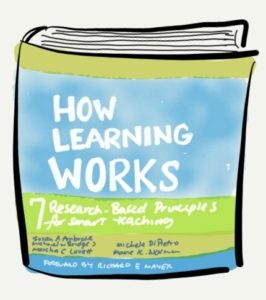 Today the BCcampus Online book club was talking about Chapter 1 of How Learning Works, which is about students’ prior knowledge. Some colleagues shared stories illustrating how instructors’ failure to attend to their prior knowledge is not just a neutral oversight – it can be a really negative classroom experience. None of these feelings – frustration, annoyance, humiliation, embarrassment – are going to help create good conditions for learning; they are all pretty crappy ways to feel. This crosses into my interest lately in thinking about “how do you want them to feel?” as a learning design question (inspired by Monique Gray Smith‘s keynote at the Festival of Learning – here is the recording). 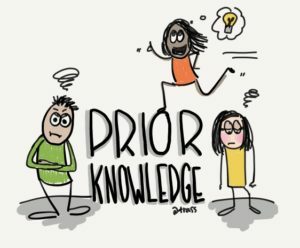 So for instructors, the first invitation is to find out about students’ prior knowledge; as it turns out, simply having course pre-requisites may not be enough. I am going to continue this thought in a future post about ways to use Liberating Structures to help uncover prior knowledge.